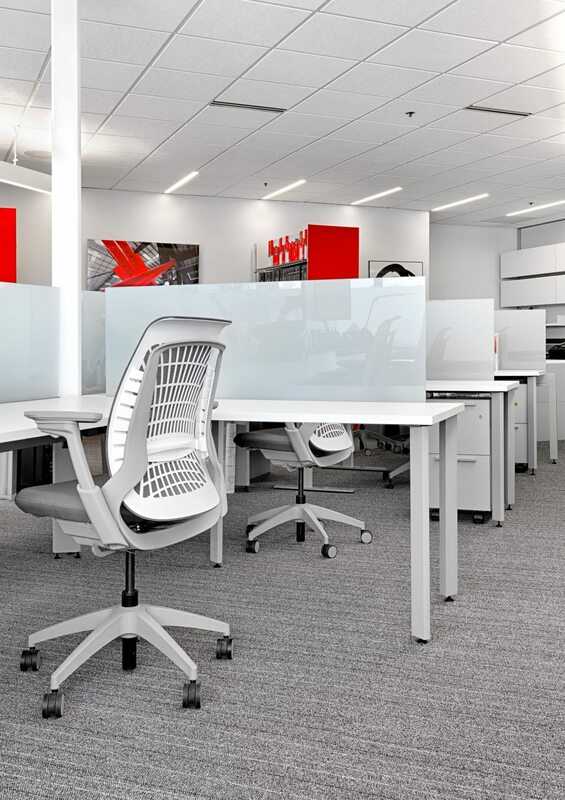 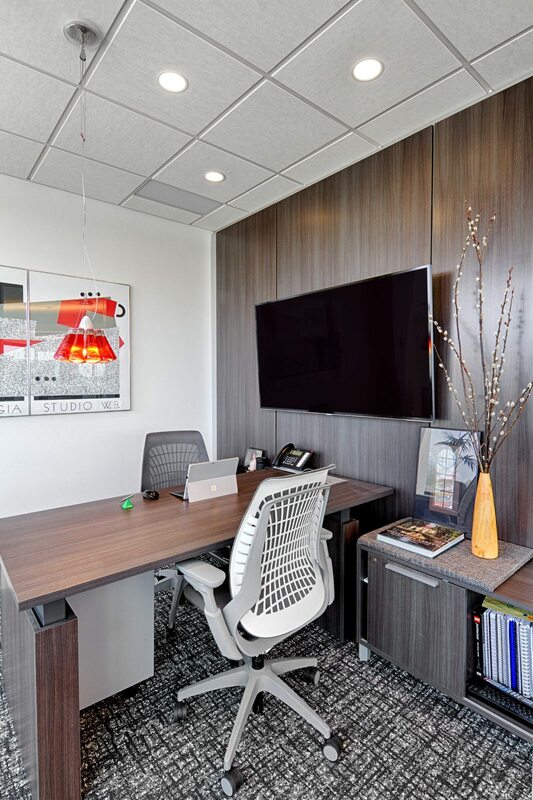 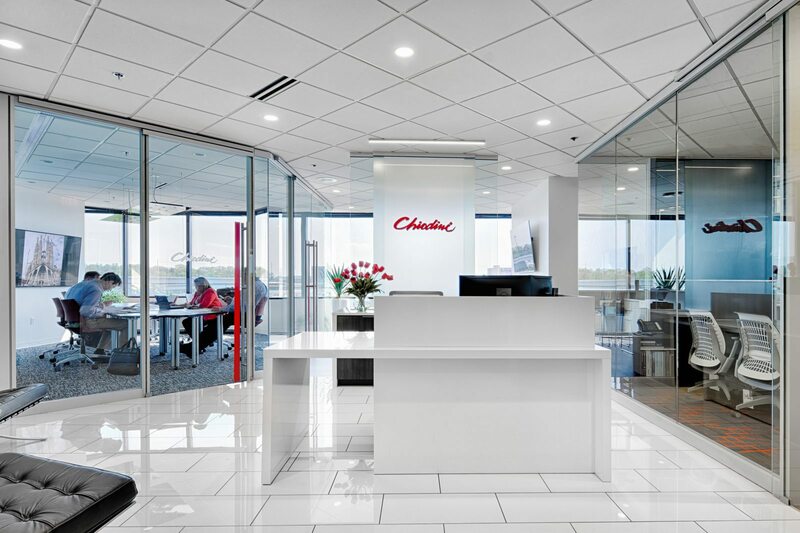 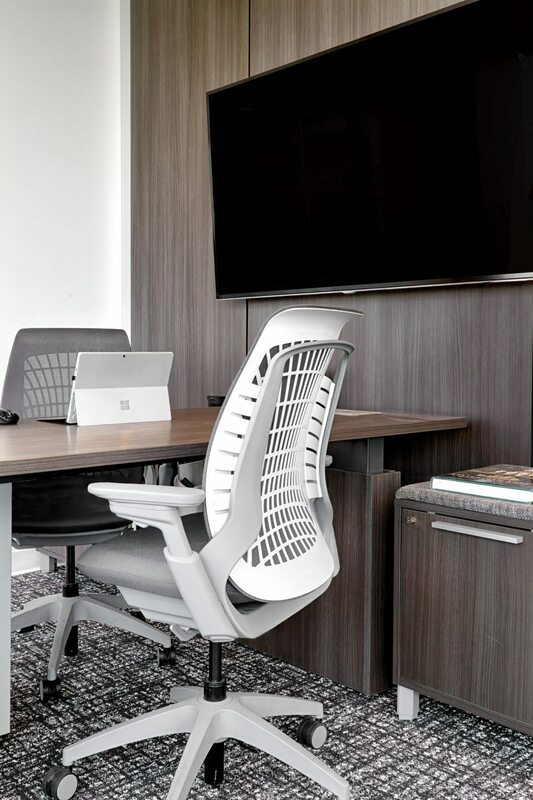 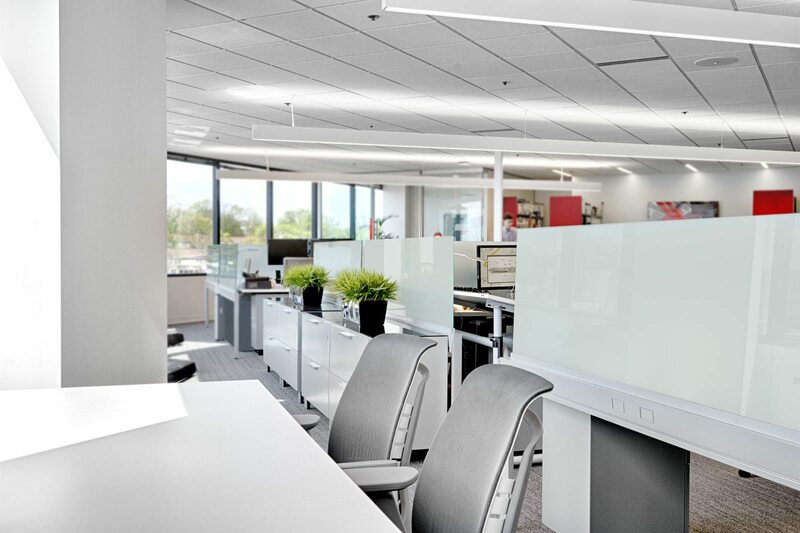 Chiodini Architect’s new space has allowed employees to maximize space utilization – reducing overall footprint while increasing workstations. 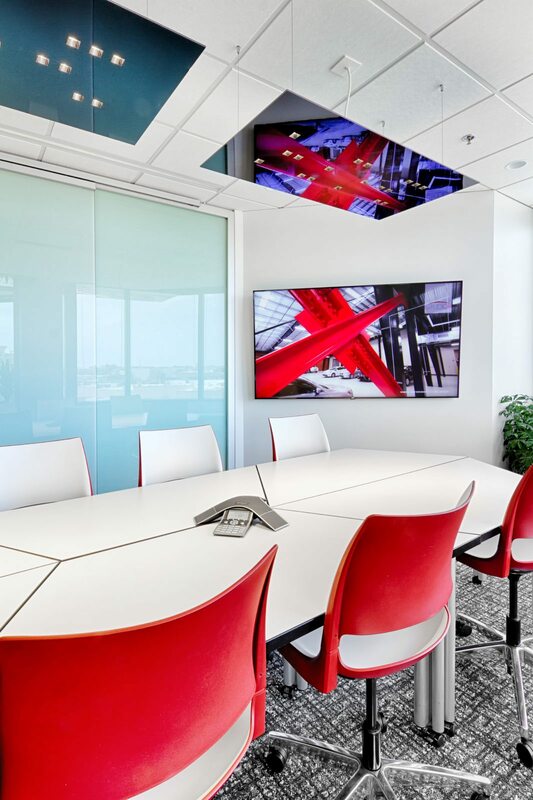 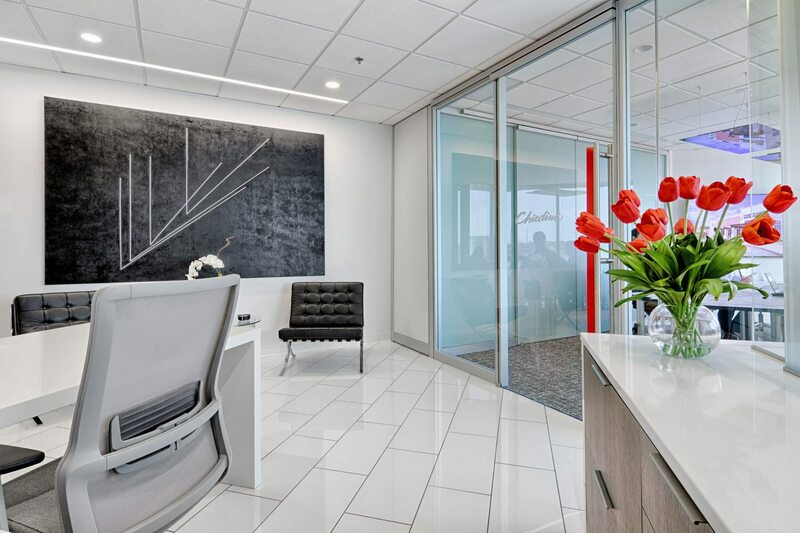 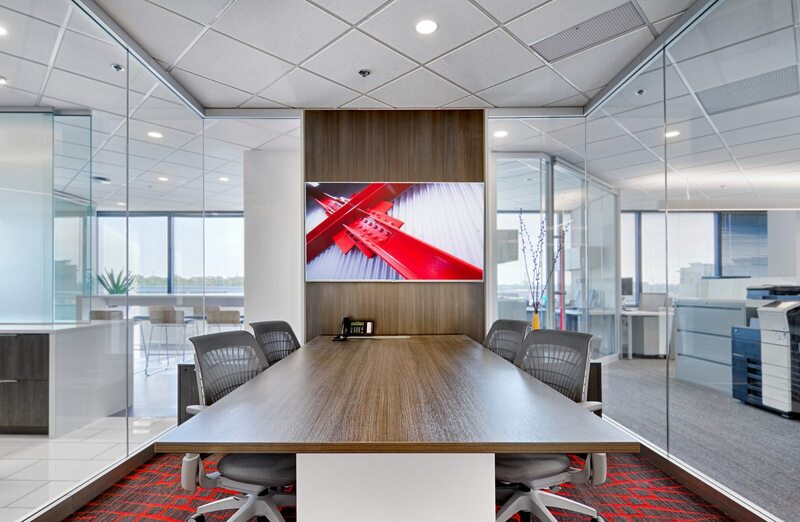 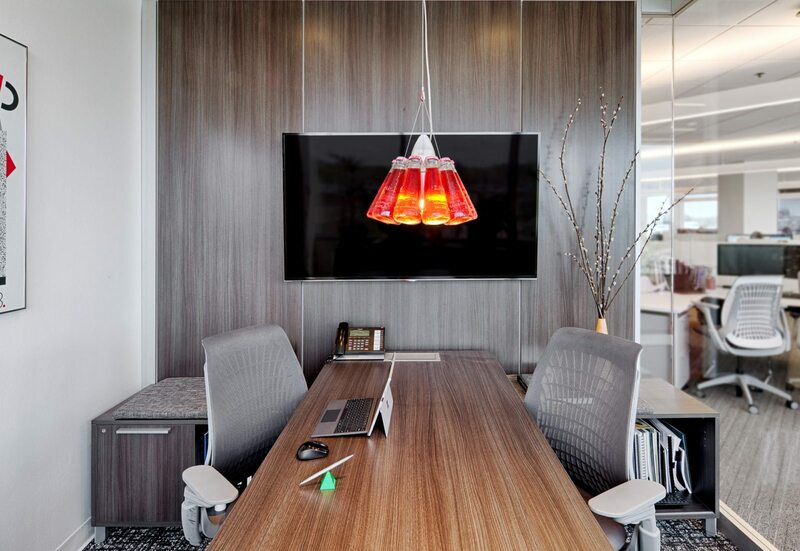 By combining neutral furniture with bright pops of red throughout the space, we were able to create a modern aesthetic that reflects and reinforces their brand. 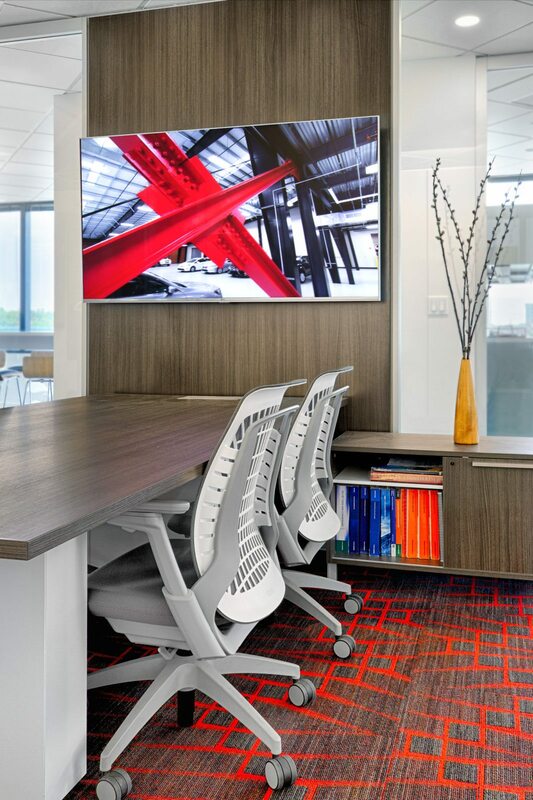 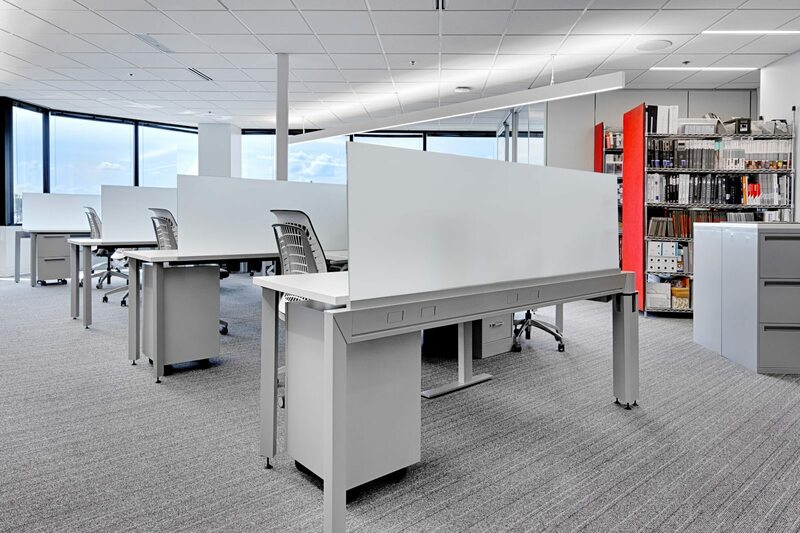 The new light scale workstations support impromptu collaboration, increasing idea sharing and mentoring between employees. 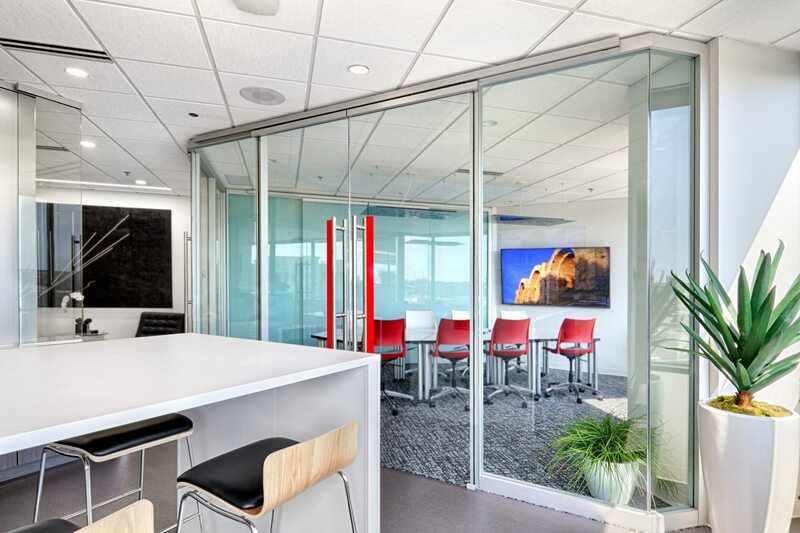 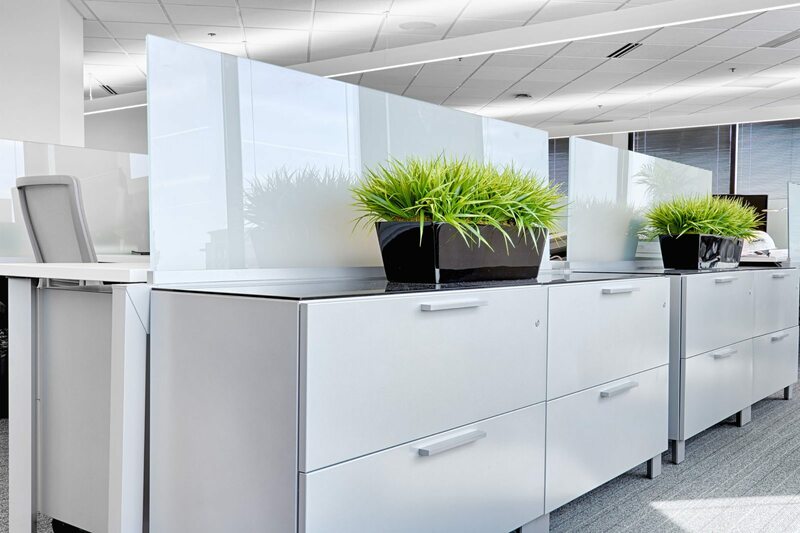 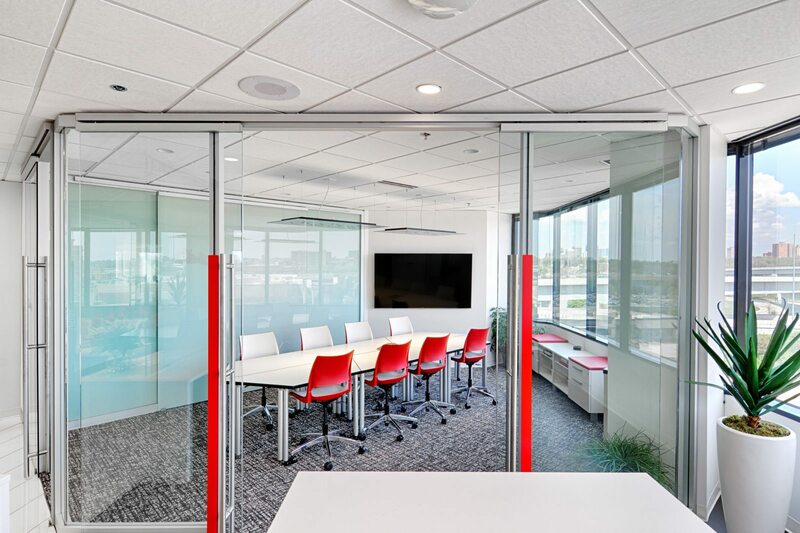 Glass-walled private offices and conference rooms promote visibility at all levels of the organization, and also provide natural light and outdoor views throughout the space.